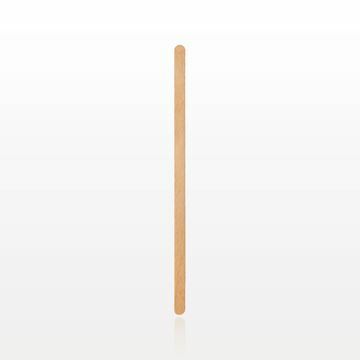 Maintain hygienic practices during waxing treatments with this disposable wood applicator stick. 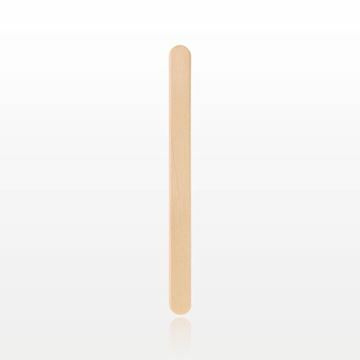 Maintain hygienic practices during waxing treatments with this disposable white birchwood spatula. Can also be used to hygienically test, mix or apply make-up and skin care products. Hygienically test, mix or apply make-up or skin care products with this disposable 7 inch wood spatula. Maintain hygienic practices during waxing treatments with this disposable birchwood s-shaped spatula. Can also be used to hygienically test, mix or apply make-up and skin care products. Mix, spread or apply various products with this birchwood spatula. The large size makes this spatula an excellent tool for waxing large surface areas such as legs, arms and back. Help maintain a hygienic environment while performing skin consultations or waxing treatments using this this disposable, 5.9 inch birchwood spatula. 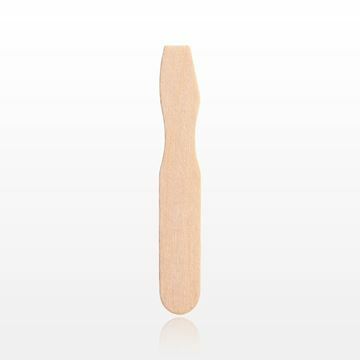 Help maintain a hygienic environment while performing skin consultations or waxing treatments using this this disposable, 5.5 inch wood spatula. Help maintain a hygienic environment while performing skin consultations or waxing treatments using this disposable, 4.5 inch birchwood spatula. This white birch wood spatula is perfect for testing lipstick or skin care products in a retail setting. Can also be used for maintaining hygienic practices during waxing treatments. Quality and reliability come together in makeup spatulas from Qosmedix. We have the essential tools to test, mix or apply products that have a range of textures and consistencies. Our disposable plastic spatulas are especially useful during beauty services or consultations. Many of these single use makeup spatulas are packaged in bulk to accommodate high usage rates. A multipurpose plastic spatula is also included in our popular applicator kits. We offer spatulas in a variety of shapes, sizes and materials. All of our spatulas will scoop cosmetic and skin care products easily from containers. Our small, medium or large wood spatulas are effective as spa or salon applicators. These hygienic applicators are ideal for use during waxing services in a spa or salon settings. Our large wooden spatulas assist with broader product application. Qosmedix is dedicated to providing applicators of all sizes and shapes that promote efficient, effective, and hygienic services. We have a spatula designed for most every beauty application. Disposable cosmetic spatulas in tapered, angled and dual-ended styles can be used to apply skin care products or makeup in a safe manner. These items are also useful for product mixing. Allow clients to easily and safely test lipstick and other makeup formulas by providing a display which includes a variety of spatulas and disposable applicators. Qosmedix offers customizable options on our spatulas including changing the color, or imprinting your brand logo. As an industry professional, we invite you to take advantage of the wholesale pricing available on our website.